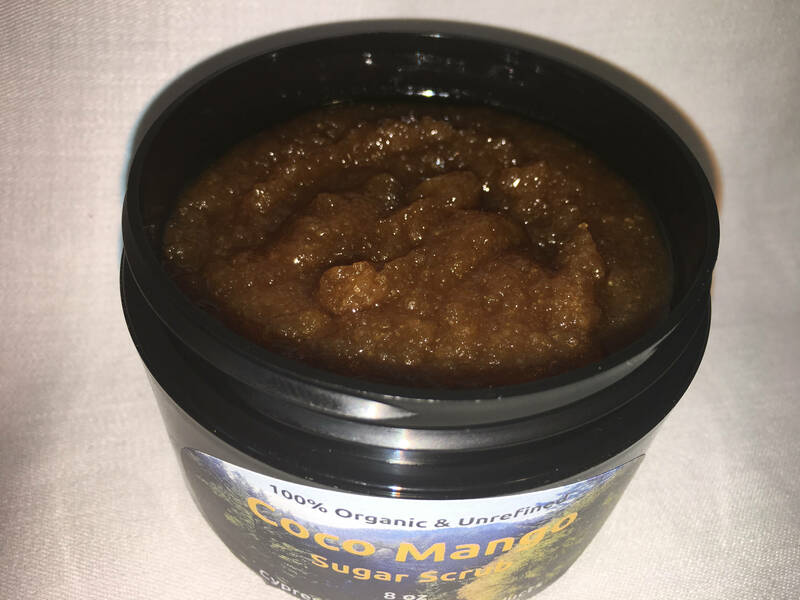 Super rich sugar scrub for your skin. Generally used for the body, but can be used anywhere. Gently scrubs away the dry layer of skin that prevents our best moisturizers from penetrating deeply. While removing that dead skin it replaces the natural oils that are diminished by time and place, especially in winter climes. Apply in the shower after your regular washing with soap or body wash. Rinse well then turn off the water (as warm/hot as you can stand so your pores are open and ready). Apply generous helping of sugar and oil in circular motion to every part of the skin. Allow a few moments to sink in while continuing your application. You will feel the sweet mango with every stroke. After a few minutes (or however long you have) rinse well, then pat dry. Scrubbing with a towel removes all the good stuff you've just put on! Then apply our Shea Argan or Shea Mango Body Butter and watch how your skin transforms into satin. Give a few minutes before dressing. Mango is one of the world's super antioxidants. It also has a natural spf of 30, but you must use sun block in addition to this magnificent scrub to fully protect your skin from the sun's harmful rays. 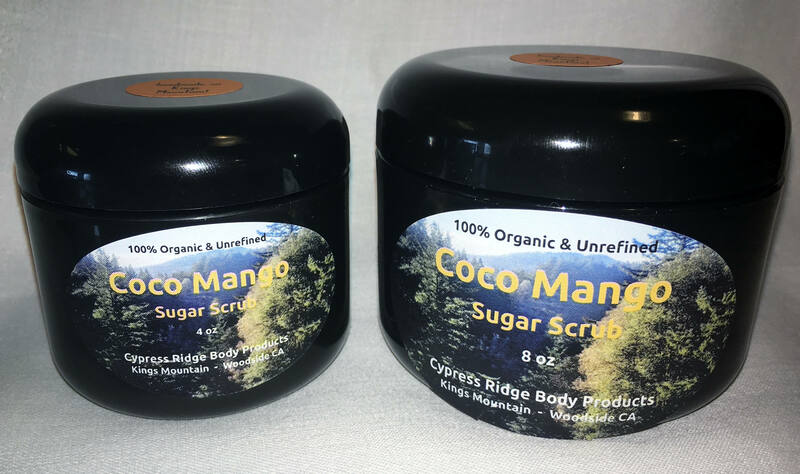 We use every bit of the mango to make this scrub superior to any other scrub you may find anywhere. Mother Nature knows! © 2019 Cypress Ridge Body.